How can I change the account settings? To change your account settings click on 'Account' in the top right corner. In the drop-down menu you will find the option 'Settings'. 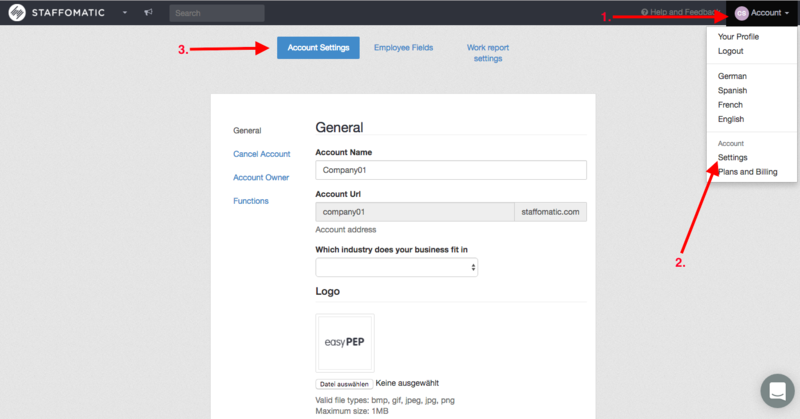 Now click on 'Account Settings' to make any changes.